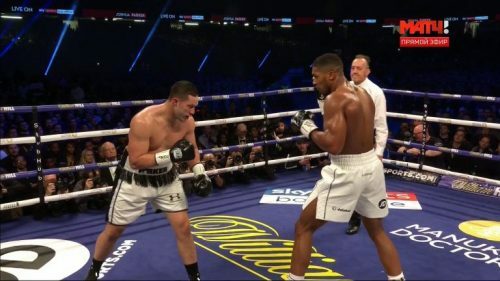 ANTHONY JOSHUA VS JOSEPH PARKER [FULL FIGHT HIGHLIGHTS] 2018 – WORLD CHAMPION ANTHONY JOSHUA WON THE FIRST HEAVYWEIGHT UNIFICATION BOUT HELD ON BRITISH SOIL AS HE GAINED A UNANIMOUS POINTS VERDICT AGAINST JOSEPH PARKER AT CARDIFF’S PRINCIPALITY STADIUM. British star Joshua added the WBO belt to the WBA and IBF belts he already holds, but he was taken the distance for the first time in his professional career. It was his 21st straight career victory, although previously unbeaten New Zealander Parker delivered a battling display without seriously troubling Joshua. Talk will now further intensify of Joshua fighting unbeaten American and current WBC heavyweight champion Deontay Wilder for all four belts.